Education is a key aspect of the work at Lower Winskill. The farm has indoor teaching facilities and a variety of upland habitats, including many limestone features within easy reach. There is much to enjoy and learn whatever the weather. 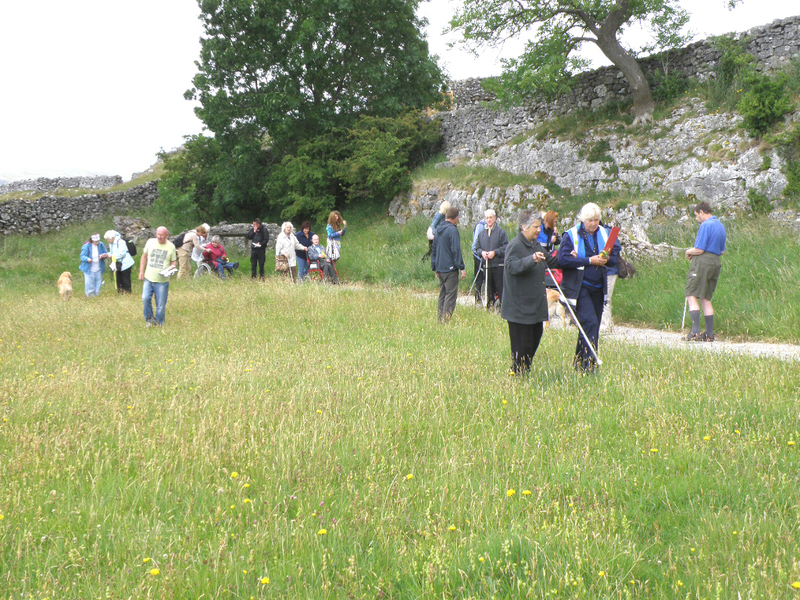 Educational visits may be arranged under the Natural England Higher Level Stewardship Educational Access Scheme. Here is a link to further information regarding Lower Winskill's involvement in this scheme. Bradford Environmental Education Service made a visit to Lower Winskill in June 2011. "The sunshine encouraged winged creatures to fly and we saw many small heath butterflies and chimney sweeper moths ... two northern brown argus butterflies - the first of the year at Lower Winskill. Numerous plants and ferns were seen including moonwort and even a few bluebells still flowered at the high altitude." June also saw a visit from the Brindle Historical Society. "The farm is managed for nature conservation and has become well known for its dry stone walls and wild flowers through the writing and broadcasting work of owner Tom Lord. Tom is a qualified historian and an acclaimed landscape historian and archaeologist. ... Tom will show us how the structure of different walls on his farm allows experts to work out when they were built and to appreciate the varied skills of the builders. He will also explain how the history of the farm, and the different ways of managing the land have affected the plants and animals that live there."